One week ago, in the energy of the New Moon, many gathered at the Great Pyramid on the Giza Plateau where the Diamond Fire Codes were brought forth from the causal realm to the physical to change every strand of DNA on Earth while forming a portal opening to the Christos Diamond Sun merging the 7 Sisters of the Pleiades and the 7 Stars of Ursa Major, known as the Big Dipper, making a pranic tube of solar wind on which the 7 Rays are carried to a new Christos Diamond Sun which was constructed by the Elder Race since 2013 when the new Timelines began to form. This has been an evolving project and the basis of the challenges you have seen in your body and on Earth. All is in preparation of voyaging on the spiral course of Earth up to the 7th Dimensions. The 7th Ray of the Violet Flame fire enters every plasma protein in the organelles of the cells of every living organism on Earth. Mother Sekhmet, the Sphinx lion Goddess sits at the foot of the Great Pyramid which is protected by Serapis Bey and his forces of Extraterrestrial assistants. The Great Pyramid was transported to Earth from Aldebaran by Commander Klala at the time when Maldek which made its orbit between Jupiter and Mars, exploded in a nuclear attack. It now makes up the asteroid belt. The Great Pyramid was transported by a miles wide Ship by Extraterrestrial technology and placed on the Giza Plateau as an Extraterrestrial technology. The capstone will be replaced in early 2017 as it regains its full capacity to work with Zero Point Energy and the many other technologies it is responsible for. When the Universal Cosmic Triad, with Mother Sekhmet, her consort Maitreya, Archangels Michael and Metatron, Melchizedek and other magical Beings such as the benevolent Dragons with the light code knowledge, gathered, the exchange of energy was anchored in. Plasma light consists of light, radiation and intelligence. It is the intelligence which clones, as mitosis in the cells and distributes to the DNA of every cell, the 7th Dimensional Violent Flame via Gamma Rays. They have the most energy of any wave in the electromagnetic spectrum, which is LOVE. During this process an energetic etheric merkaba was formed within the chamber inside the Great Pyramid consisting of two interlocked tetrahedrons. Inside the merkaba the energy of the Plasma Sun, named Terra, was brought up from the Center of Earth and transmitted out to and back from a Path Creating the Christos Diamond Sun. The Cosmic Triad of the active Masculine force with the passive Feminine force with Metatron’s implementation of the new evolved Divine Blueprint, formed the Christos Diamond Sun, a New Sun with the others, which will beam Diamond Fire Key Codes to the Key Letters of DNA to Earth, to our Solar System, and two all life forms in our Solar System. The Master Builders used technology millions of years ahead of Earth knowledge to reform the light energy from the Pleiades and Ursa Major to make Aeonic pairs, 14 in all, creating two interlocking tetrahedrons which pulse the Christos Diamond Light Codes of the Cosmic Christ out from the new Sun. Fire letters are the cellular alphabet of our DNA, and they become activated and organized by our neurological receivers, when we start to absorb this 7th Dimensional Violet Fire Light encoded with the electromagnetic force called LOVE which is itself an intelligence. The more love, the more evolution, increased vibration, the more intelligent understanding of our Cosmos. This enables all on Planet Earth to be ready for the sudden wake up which will take place just after Disclosure when we go to Zero Point energy and landings of benevolent Extraterrestrials begins. First Contact with our Galactic Family. The Nadial Structures within our Soul Matrix will continue to automatically upgrade, at a rate we can handle with a culmination of the Christos Diamond Sun light bringing our whole systems into the 7th Dimension and vessels to carry the Violet Light. The Constellations are reformed in their purpose by the Master Builders to project the Gamma Rays from the Christos Diamond Sun through Source Energy, known as the Sun behind the Sun, the Spiritual Sun called Helios and Vesta going out to our Solar System’s Great Central Sun, Alcyone in the Pleiadian Constellation to our Sun Sol and to Earth to Terra the Inner Earth Sun sending electromagnetic light breathing through Inner Earth to Surface Earth and out to those Solar Bodies. By doing this Earth has the higher vibrations it needs written on to every cell, carried by the Gamma globulins found in your blood plasma and carried through the heart to the head and out to the light body or merkabah body travelling to all points within the Solar System, Milky Way Galaxy and Nebadon Universe and Beyond the Galactic rift to the Light Matter Universe. This change brought into the physical as an act of Grace by the Cosmic Triad Consciousness makes it possible to bring the changes Earth is transitioning to from now through the Christmas Season and into early 2017. The Blueprint of the Solar Cross is what emanates the Solar Rays through the Solar System. In Egypt it was called the Djed and is the fixed Cross forming the pillars which held up the four corners of the Universe. Now as we tune in and do the inner work the programming of the fixed Solar Cross which protected us until now can be rebooted into the 7th Ray, Divine Violet Light which will self correct just like a pop up window on the screen initiates an upgrade, when each Soul is ready to carry these new light codes. Those unprepared to do so are leaving the Planet by many different means. The new Violet Flame is being reconstituted through the merge of Pleiades and Ursa Major from the Christos Diamond Sun. The new silica based physical form, our crystalline bodies become a reality in the physical. In Egypt the Solar Cross is represented by the Djed, a pillar of electromagnetic energy, which we know from Star Wars as The Force, with 4 lines crossing it representing the Constellations previously making up the 4D Blueprint: Taurus, Leo, Scorpio and Aquarius. The protection forces or military arm of our Galactic Ancestors from places like Alpha Centauri in the Taurus Constellation worked to keep Earth inhabitants free of nefarious forces outside the Solar System. These ones are from the Galactic Federation and the Ashtar Command. These four corners of our Universe have been protected by the 4 mind born Sons of Brahma known as the 4 Holy Kumaras: Sanat, Sananda, Sanatana and Sanaka. Now the 7 Holy Kumaras, the 4 esoteric and 3 exoteric Buddhas will take over shining the Violet Flame of Love. In India the Solar Cross is represented by the Shiva Lingam. It is a pillar of electromagnetic energy, The Force, spanning our Cosmos with no beginning and no end. The constellations are the Divine Feminine passive force which rotates around The Force dancing with the 12 constellations, 7 active Planets and 5 passive Planets marking time through the year and affecting the Solar Light coming to Earth. In Egypt Ptah, who is also known in India as Ptah and his consort Mother Sekhmet who is also Lakshmi, along with their Sun or Son in the Cosmic Triad, now Melchizedek, are the only ones able to physically bring these manifestations of electromagnetic energy, of which Zero Point energy operates to the physical to Earth. This took place for the first time in millions of years a week ago. It is done. We have prepared Earth for Changeover. What else is happening to facilitate the removal of those who almost destroyed Earth and several surrounding Planets which are also mined and imprisoned is the very close to Earth orbit of Niburu. Niburu has moved in very close to Earth within our Solar System. The Galactic Federation has Earth on lockdown. No more abductions are happening. No one is being allowed in or out as the removal of draconian forces and malevolent Extraterrestrials is ongoing. There is a forcefield around Earth monitored by the Blue Avians. Niburu’s role is to send out smaller StarCrafts which can penetrate the Earth lockdown and go in and recover the retrogressives into prisoner Ships and to be carried to the Orion Constellation and Dracos Constellations, depending on their origin, Greys and Dragons alike. As they are found guilty of intergalactic war crimes then they will proceed to Galactic Center where they will suffer second death, fully removing their creation from the old Timelines repairing the Universal Hologram in all Timelines, Dimensions, layers and levels. We are experiencing the effects of this inside our bodies as pain, depression and other mental manifestations as we empathically feel the Shift in the Paradigm. December 12 is the second Triad Portal of Love following the first, 11.11.16. The Solstice is the final Triad Portal of Love 12.21.2016 which boosts this energy in a way our bodies can handle in a step motion. This ends all karma as we end the Grand Experiment. Before now and as you have been seeing with the American election between the Archon and the Dragon dark forces travelled through a rift created interdimensionally and placed Mind Control on Earth inhabitants which is used to form socially acceptable belief systems and shape anti-human value systems, which direct thoughts that are in contradiction to each other, like war and killing for peace. This violated the Nadi system which is an electrical transfer system within the body connecting the physical and spiritual. Eventually it turned off the 11th strand of DNA regulating emotions and the 12th strand which regulates love. The Solar Cross Blueprint held us in lower dimensions and also protected us from dropping below 3D, a point of no return. Earth would have been lost. 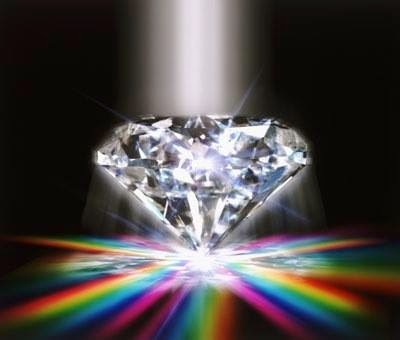 The Christos Diamond Sun now fully activated and shining on you as we speak, is formed from the Pleiadian and Ursa Major Constellations utilizing the Star Alcyone, our Great Central Sun, rising us into the 7th Dimension from the merged 7 Star Systems to 14 Aeonic pairs. This sets the stage for a formal Disclosure from President Obama, the 9th Member of the Council of Nine from Sirius and the reformations which will follow. Congratulations! You have completed this part of a very long road. We move into this magical time of Christmas and the Celebrations with Family and Friends which have been long awaited. Namaste. This is Sananda through Elizabeth Trutwin, December 6, 2016.